A poster created for Texas-based creative agency Test Monki. It was used to promote their s’mores themed open house event to show off their new studio space. 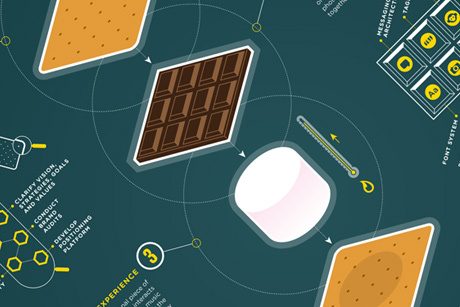 We decided to use the idea of a s’more as a metaphor for the services that Test Monki provide. This was something quite different to my usual style of work but also a very enjoyable project to work on. A personal project inspired by reading a book about what was at the time the longest and most complicated bombing raid ever devised. The book itself had several illustrations which I found a bit lacking, so I had a go myself and it ended up being an A1-sized poster. 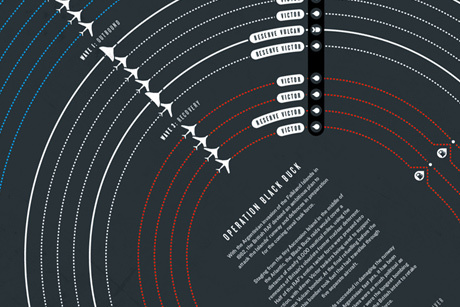 A 1 page graphic which illustrates every single manned space flight in history, and categorises them by country of origin and destination. Notable events in history are highlighted. This was published in a special issue of the Financial Times Weekend magazine – April 2/3 2011. This 1 page graphic was for GQ magazine and showed the complex relationships and connections in the Nu-Folk music scene, of which Laura Marling appears to be a central figure. This was published in GQ UK September 2011 issue. 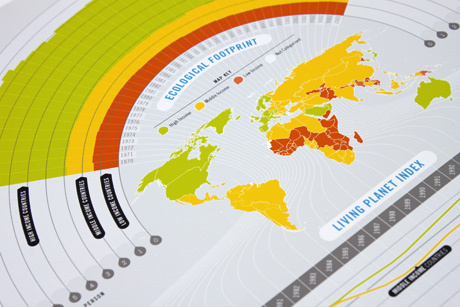 A series of graphics commissioned by Good Magazine on behalf of the WWF which visualise some of the issues to do with global trade and how higher-income countries use a disproportionate amount of resources, at the expense of lower-income nations. 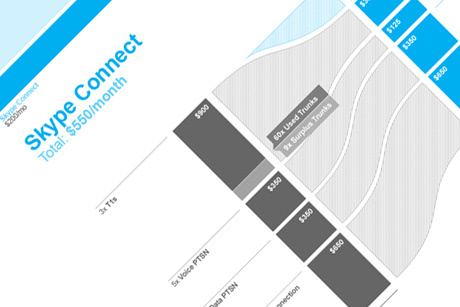 A series of dynamic infographics commissioned by Voxygen which visually represent potential savings on using the Skype Connect system. 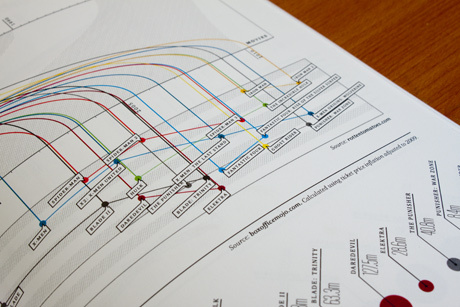 Customers would fill in the details of their current infrastructure and their communication needs and the graphics would change to reflect their selection. 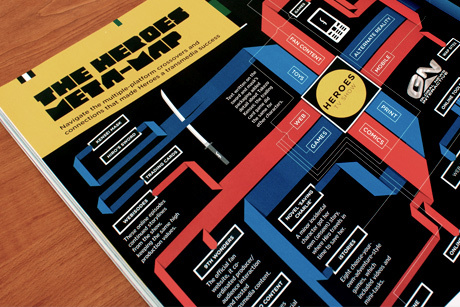 An infographic for Wired UK showing the many and varied media channels used to promote the television show Heroes. It was to fit into a small feature and I took inspiration from the title typeface to create an undulating angular ribbon diagram with a few little nice features. 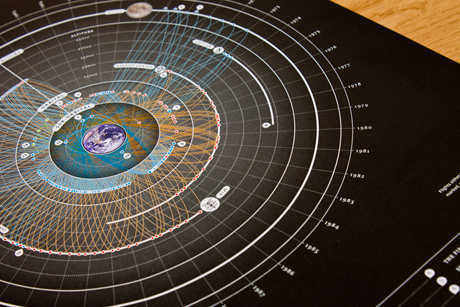 A contribution to MAS Context – a themed quarterly journal created by MAS Studio in Chicago. This issue was themed on the concept of Amusement and I was given free-rein to created anything based on that theme. Having just watched Iron Man on DVD, my usual curiosity struck and I started doing some research on how comic books matched to their movie counterparts, and it all went on from there. The full issue of MAS Context can be downloaded here.